Unfasten the waist and chest straps of your pack before trying any stream crossing that would require swimming if you fell. You must be able to shed the pack in a hurry. A foot log is a great way across, with an ice axe, stick, or tightly stretched handline to help with balance and support if the log is thin, slippery, or steeply inclined. Sit down and scoot across if that helps. Boulders offer another way. Move from boulder to boulder—but only after mentally rehearsing the entire sequence of leaps. Safety lies in smooth and steady progress over stones that may be too slippery and unsteady for you to stop for more than an instant. Use an ice axe or pole for added balance. If you must wade across, use the widest part of the river. The narrows may be appealing as the shortest way, but they're also the deepest, swiftest, and most dangerous. If the water is placid and the stones rounded, put your boots in the pack and keep them dry as you wade across. 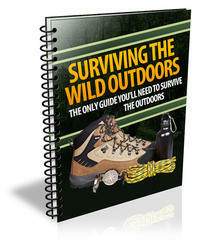 In tougher conditions, wear your boots, but put socks and insoles in the pack. You can drain the boots on the far side, replace the insoles, and put the dry socks back on. You may decide to remove your pants or other clothing in deeper crossings. Loose clothing increases the drag from the water, but it also reduces chilling and may permit a longer crossing before your legs go numb. The force of moving water is easy to underestimate. A swift stream flowing only shin-deep boils up against the knees. Knee-deep water may boil above the waist and give a disconcerting sensation of buoyancy. Whenever water boils above the knee, it is dangerous, and one false step could have you bouncing in white water from boulder to boulder. Frothy water, containing a great deal of air, is wet enough to drown in but may not be dense enough to float the human body. Streams fed by glaciers present an added difficulty because the bottom is hidden by milky water from glacier-milled rock flour. If the stream is deep but not swift, you can cross by angling downstream at about the same speed as the current. But it's usually best to face upstream, lean into the current, and stab an ice axe or stout pole upstream for a third point of support. The leading foot probes for solid placement on the shifting bottom, the following foot advances, and the axe or pole is thrust into a new position. Two travelers can cross together, taking turns securing the other as that person moves to a solid new stance. Team-crossing with a pole is another method. Team members enter the water, each grasping the pole, which is held parallel to the flow of the stream. The upstream member breaks the force of the current. Anyone who slips hangs on to the pole while the others keep the pole steady. Using ropes for stream crossings is hazardous and not generally recommended. 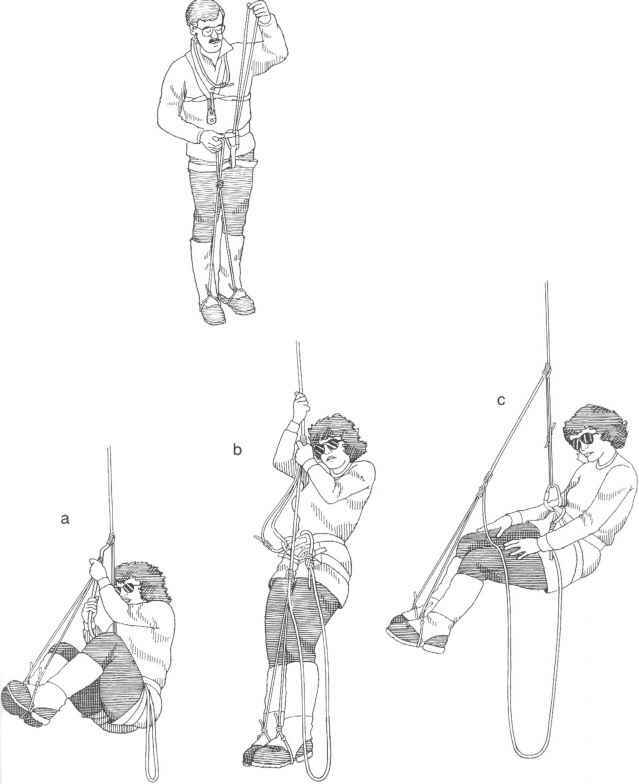 A taut handline can be helpful, but belaying someone across a river holds the danger that the person could be held by the belay and trapped under water. What is a crossing mountaineering?